Reinforcements of Fe-500D steel bars may be uncoated or coated with epoxy or with approved protective coatings as per specifications. Plastering, Painting and Flooring works as per the requirement and specifications. Scope of Water and Sanitary Works: The scope includes Supply and installation of all internal and external plumbing works and sanitary fixtures. Safety: The scope includes Supply and installation complete system for Fire Fighting, Smoke detectors and Fire Alarm system. 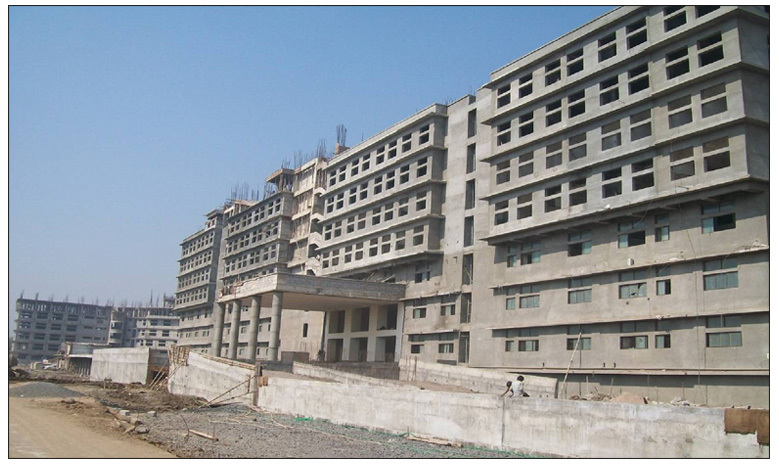 Scope of Electro-Mechanical Works: Supply and Installation of Computers, all Medical Equipments for Medical Gas, CCTV, Prefabricated OT, Nurse Call station, Solar Water heater and X-ray equipments etc., and Supply and Installation of Lifts and Elevators.